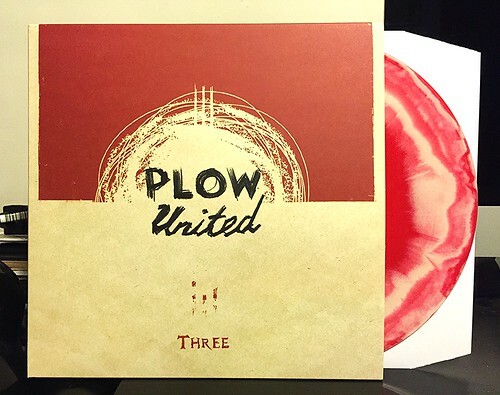 Plow United return with another album called Three. It's a relief to see that 2013's Marching Band wasn't a one and done after the band returned from a decade plus long hibernation. I'm not sure if Three is quite as great as Marching Band was, but it is still a pretty fantastic record. Three starts off with "We Should Take Time," a brief, punky intro with a fifty thousand mile per hour drum beat. That sort of drumming isn't usually my favorite thing in the world and it made me a tad nervous the first time I put the record on, but those fears were immediately quashed by the very next song "Break The Barrier." This is where Plow really shines. They slowed down the tempo just a bit, inserted a catchy guitar riff and alternate back and forth between palm muted chugging and that sparkling riff. As we move through the album, Plow unleashes some spectacular tunes. "Everything," "Trust" and "The Writing on the Wall" are as strong as anything in the band's back catalog. There are a few quick songs that are so short they kind of whiz by before they really sink in including the blink and you'll miss it "Hello Vertigo" and the criminally too brief "Radio." Overall though, this is a logical, strong follow up to Marching Band. I've been listening to Plow United for a lot of years. The fact that they've released two albums that are pretty different from the records they put out during their first run, but still manage to be equally enthralling is testament to their greatness.